First day of work begins so it’s time to start measuring and cutting wood. I’m all over the measurements. Hand me the tape and a pencil and I gotchu. After a few tutorials, my sis Krystle takes over the sawing. It was really exciting! She took a break for a second and someone bumped into the board that the power saw was sitting on. BOOM! It falls on the floor. Throughout the week of building a house, designing a craft for the kids and making mistakes that come along with being in a different country we repeated that phrase whenever appropriate. And it just sits with me. This Is Us is the best show I’ve ever seen. I know that sounds extra, but I’m pretty sure I’m telling the truth. The show follows the lives of three adult siblings with complicated lives. I have a DEEP appreciation for amazing portrayal the Black character, Randall. His backstory, his current story, his family #Swoon. The whole show could just be about his family and I would still be as invested. As much as I love all the richness that is Randall and Beth Pearson, I can’t help but admit how much Kate’s subplot speaks loudly to a fat girl in me who is constantly healing. All the people reading this who relate to this scale moment, exhale. You’re not on the scale in front of people any more. It’s ok. I totally get how seeing this pic could cause anxiety, but breathe. 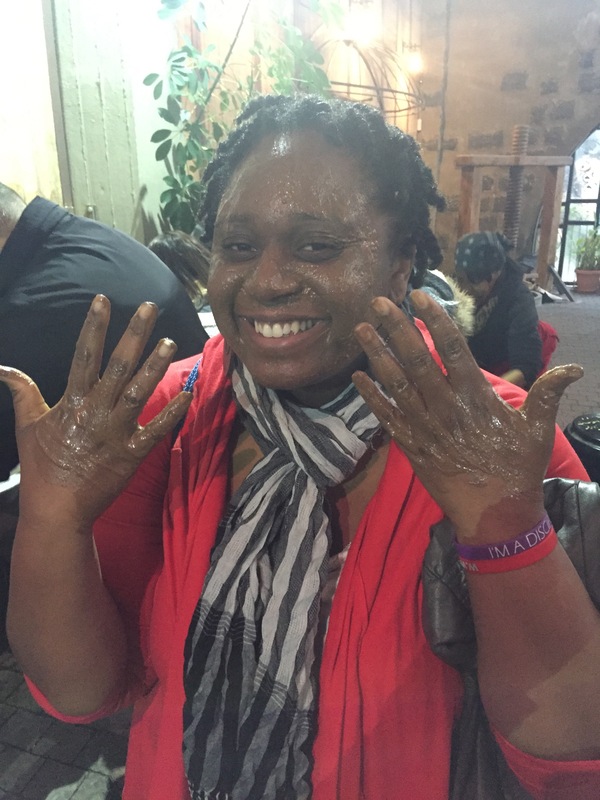 OhCAE… moving on. 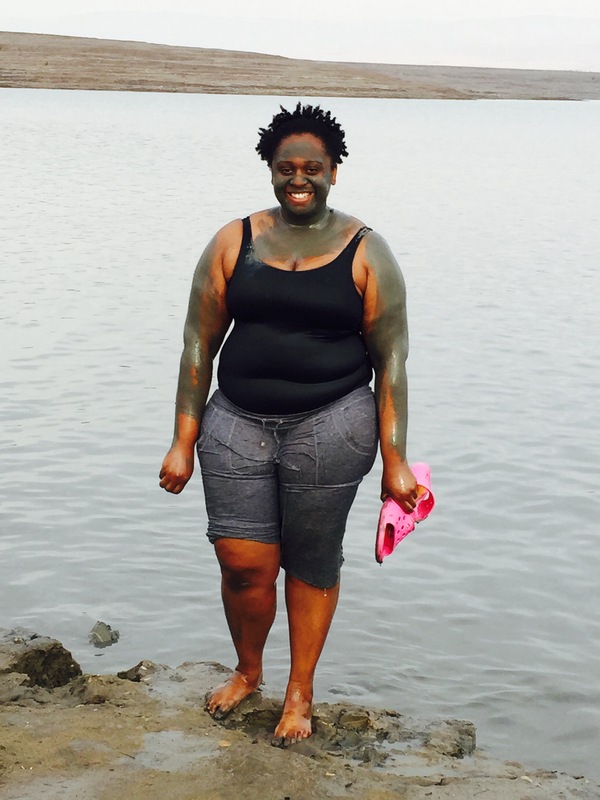 Recently, I’ve reached a new place in my weight loss journey. Or maybe we could call it my journey to changing my relationship with my body. In a 2010s world of body positivity there are still women like me and Kate who grew up in a world that hated fat people. It’s hard to not internalize some of that hate. It’s SUPER hard to push some of it out when it’s been part of a person for so long. So here’s Kate enjoying her life with her bikini, then her friends laugh at her and explain that they no longer want to be friends because she looks like a pig. This, of course, devastates her. But it’s not just the note. It’s a combination of the note and her mom’s constant pressure for her to lose weight. She makes her eat cantaloupe while her brothers eat sugary cereal. People wrap their encouragement to lose weight in fake concern for fat people’s health, but never discuss health choices with trash eating people in slim bodies. Kate couldn’t eat what she wanted, but her brothers could even though it wasn’t good for them. Now, lemme clarify. This isn’t my story. But I definitely know how lonely it can be to feel like you’re the only kid you ever see who has to be concerned with food intake. It’s an unfortunate and sobering moment to realize you’re a 7 year old and sitting at a fat doctor. Going to your pediatrician because you have a cold and he scoffs when your dad asks if it’s safe for you to take the prescription at 11 because “she’s 200 pounds” is an unforgettable experience. Thinking about this stuff makes me reassess why I’m so comfortable only acknowledging Randall’s family line. Randall’s life reminds me of the current me. The one who has taken my trials and built the life I want despite the difficulties. Kate’s inability to move beyond her childhood hurts makes me face the fact that I still have work to do to heal little Cae. Could You Be Any Blacker? So before you ask, no this is not a sequel to You’re Already Black Enough. Thank Goodness! 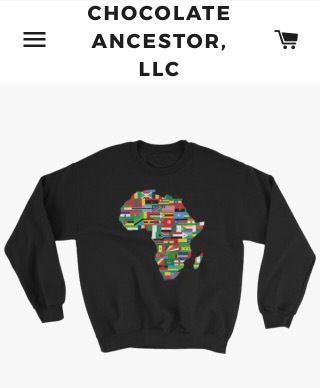 This is about being comfortable enough in my Blackness that I wear it, literally. 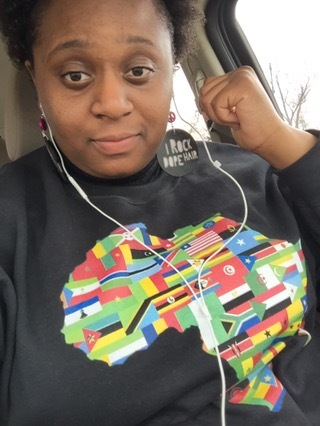 The evidence of the abundant presence of melanin, that fro, those earrings and my sweatshirt reppin my and my ancestors’ home determines that I can’t. 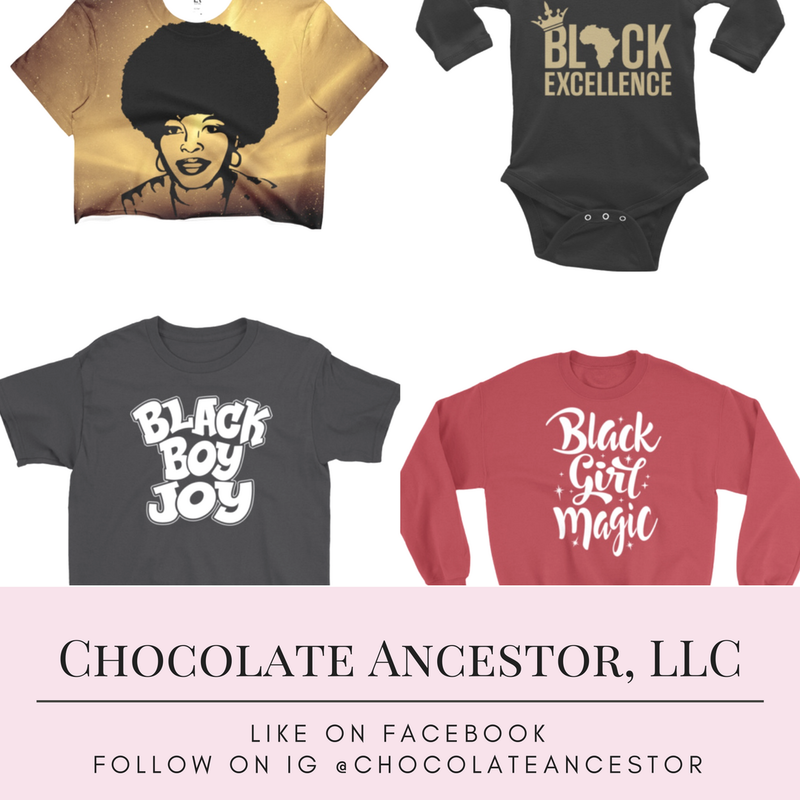 I’m grateful that I came across Chocolate Ancestor, LLC on Instagram because their selection of witty quote, look dope, stay ﻿woke apparel has this Black Millennial in online shopping heaven! Soooooo many selections to choose from and they have baby stuff too! After I made my selection, I chose my size and it came in the mail a few days later. To my pleasant plus sized surprise, the sweatshirt is true to advertised size and it feels so good! They start at $28.50 and if you use this link, Money Off, you’ll get a discount off your first purchase! Here’s another little sneak peek at some of their products. Go check them out, #OhCAE?! P.S. The “I Rock Dope Hair” Earrings can be bought here at Naturally Flyy Detroit. OhCAE, y’all. I’m just gonna sum this one up before I really get into it. Sometimes you just have to let people live in their reality. I know it’s annoying when people hold certain beliefs, but you have to know those thoughts come from somewhere. 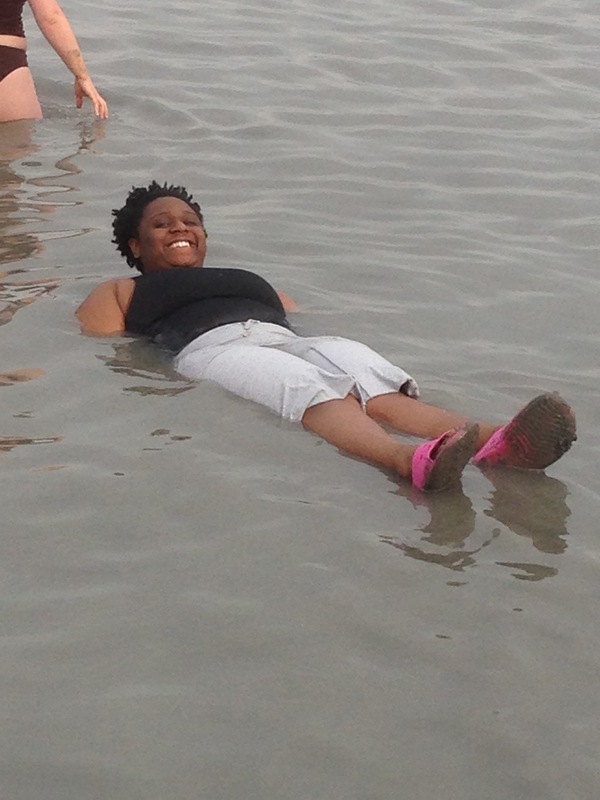 And sometimes you just have to be content with living contrary to their beliefs. Octavia Spencer’s character, Dorothy Vaughn, in Hidden Figures was undoubtedly my favorite. Not only was the epitome of “Each one reach one” with her refusal to take a promotion if her whole squad couldn’t come because she took it upon herself to teach them what she taught herself. But she also didn’t have a problem letting people just live with their thoughts. But seriously though, Dorothy’s response just sits with me. It’s exactly how I want to respond every time I hear a white person say “I’m not a racist but…” Like… Yes, you are but I’ll just let you live because white supremacy and anti-Blackness are so tightly woven into the fabric of our global society that people think their sentiments are normal. They believe that they’re one of the good ones because they’ve never physically harmed anyone. They have no idea how their unwillingness to see how they’ve participated in blocking opportunities for POC and all of their other microaggreessive acts are racist. Let people live with their delusions. Provide the counternarrative with your life.